Several years ago, I visited a parishioner who was convalescing at home after a debilitating illness. He was a former NASA scientist—with a Ph.D. from Harvard—who was also an amateur astronomer. (“Amateur” in the truest sense of the word: he didn’t need compensation to pursue his love for the stars.) To pass the time and keep his sanity during his long recovery, he engaged in some astronomical research. “Really?” He sensed skepticism in my voice. He then qualified his earlier words: Maybe he didn’t know the exact date, but he had a narrow range of dates, within a couple of weeks, given certain assumptions. “Look, I’ll show you.” He explained his findings using a star chart, the Bible, and various clippings from astronomy journals. Surprisingly, it all seemed very… plausible to me. And he wasn’t a crackpot. He said that it wasn’t actually a star, per se, but a morning star—Jupiter, I believe—which would have been visible to the magi at this particular time in this particular region. Contrary to popular illustrations of the Star of Bethlehem and Christmas songs like “Do You Hear What I Hear,” this astral phenomenon was not something just anyone would have noticed. But for men like these magi who made their living studying the night sky, this would have been an incredibly curious event. The point is, my friend believed that through this natural event, God was speaking to the magi. If I could go back in time and talk to him, I would ask him about verses 9 and 10, which describe the original star “going before them” and “coming to rest over the place” where Jesus was. That doesn’t sound like it can be explained by a merely natural phenomenon, but that’s not important for the purposes of this devotional. What’s important is that this parishioner helped me appreciate once again the importance of God’s providence: God is always at work in our world—not merely through supernatural events—but through completely normal, natural, predictable, scientifically explainable events! Nothing happens outside of God’s sovereign control. If something happens in the universe, whether caused by God or allowed by God, it happens according to God’s will, for his purposes, for his glory. So even if the Star of Bethlehem was a natural event—and I have no idea—it was a natural event designed by God to bring these magi west to Jesus Christ—to bring them to salvation through Christ. From my perspective, then, this means miracles happen all the time—even if we can “explain” them naturally. God’s fingerprints everywhere! Are we aware of God’s presence in the ordinary, the mundane, and the everyday? Is God trying to get our attention? Are we paying attention? So my question to you, dear readers, is this: Is he wrong? Many years ago, I would have said yes, he is wrong… emphatically. In fact, my Christian faith was badly shaken on the morning of October 18, 1989. This was the morning after the Loma Prieta earthquake struck the Bay area of California, minutes before Game 3 of the World Series was set to start. The Oakland A’s were playing the San Francisco Giants at Candlestick Park. Even to this day, while my interpretation of the event has changed, the logic is sound. Isn’t it? If God possesses the power to keep our friends safe during an earthquake—and who could deny that he does and still be within the realm of orthodox Christianity?—then surely, by that same power, he could keep everyone safe. Indeed, every time we pray for the safety of friends and family who are traveling home for Christmas, for examples, or who are facing surgery, or who are dodging IEDs in war zones, we believe that God has the power to intervene in the world to keep our loved ones safe. If God has the power to do so for relatively “small” events, as we perceive them, then he has the power to do so for big events. If “thanking God” for loved ones’ safety isn’t hot air, and we really mean it, then we must conclude that in cases in which people die, God has reasons for allowing their deaths. In other words, getting back to Osteen’s tweet, “nothing can happen without his permission.” He “ordains” it. Or how about Job 1? Recall that God gives Satan permission (explicitly!) to harm Job—first his family and livestock, later his own health. Again, this affirms Osteen’s tweet: “He [God] may not have sent it,” but God permits Satan to work this evil. Jesus himself acknowledges the constrained but very real power that Satan has over this world when he calls him the “ruler of this world” (John 12:31) and the “prince of this world” (John 14:30). Indeed, when Satan tempts Jesus in the wilderness with the gift of “all the kingdoms of the world and their glory” (Matthew 4:8), Jesus doesn’t respond by saying, “You and I both know you don’t possess that power, Satan,” in which case Satan’s offer wouldn’t be tempting at all. No, Jesus is really tempted because he understands that Satan does possess the power to give him these kingdoms… because God has allowed him some degree of power to influence our physical world. And we see Satan exert this influence in Job 1-2. Another way of putting it—if it helps—is like this: Just as God allows free but fallen human beings to work great evil in the world, so he also allows free but fallen angelic beings to work great evil in the world. Indeed, it’s not clear where one stops and the other starts, if Paul is right when he says that we “wrestle not against flesh and blood” (Ephesians 6:12). Nevertheless, after Satan kills Job’s children, Job responds with these difficult words, which were even used as part of a popular praise-and-worship song 20 years ago (“Blessed Be the Name of the Lord”): “Naked I came from my mother’s womb, and naked shall I return. The Lord gave, and the Lord has taken away; blessed be the name of the Lord” (Job 1:21). Even though Satan is the direct agent of harm, God is ultimately responsible for it. I can anticipate an objection: Yes, but this is Job speaking, not God. What if Job is mistaken? But even if he were mistaken, we still have to deal with the next verse (emphasis mine): “In all this Job did not sin or charge God with wrong.” At the very least, in attributing the deaths of Job’s children to God (whether Job is right or wrong to make the attribution), the premise holds: God, the author of a life that none of us deserves and to which none of us is entitled, is permitted to take that life when he pleases (“it is appointed unto men once to die,” Hebrews 9:27—appointed by whom?). Otherwise, Job would be “charging God with wrong” in saying so. But even in the face of this tragedy, Job can still say, “Blessed be the name of the Lord” Why? Because he knows the truth of what Paul would later say: that “in all things God works for the good of those who love him” (Romans 8:28). If you’re still not convinced, let’s take a New Testament example, which I’ve discussed before: Paul and his “thorn in the flesh” in 2 Corinthians 12:1-10. Notice the divine passive in v. 7: “a thorn was given me.” In other words, the thorn was, in one sense, a gift from God, which he gave him, Paul says, “to keep me from becoming conceited.” This is an example of what C.S. Lewis calls a “severe mercy”: God has done something for Paul that is in his best interests, even though it causes great pain. But notice that God is not the direct cause of the thorn: Satan is. This “gift from God” is at the same time a “messenger from Satan” sent to “harass” Paul. How can it be both? In this way: What Satan intends for evil, God intends for good. (See Genesis 50:20.) In other words, while Satan wanted to hurt Paul and hamper his ministry with this “thorn” (a symbol for violent persecution, perhaps, or a physical ailment), and God had granted Satan the freedom to do so, God transformed it into something that would be in Paul’s best interests. Indeed, if Romans 8:28 is true, God does this all the time. And when God permits something far worse than a “thorn”—something that actually kills us, like earthquakes—we can still say, “Blessed be the name of the Lord”—because, at the very least, we get heaven and Jesus: “To live is Christ and to die is gain” (Philippians 1:21). Anyway, while I understand why you might object to the Bible’s high view of God’s sovereignty—as I did myself when I entered into a long season of spiritual drought during my sophomore year in college—I hope you’ll agree that I’ve represented the Bible’s teaching accurately. As I’ve said in previous posts, I am deeply comforted by the idea—cliché though it be—that “everything happens for a [God-ordained] reason.” Even at our worst, if we are in Christ we can be sure that our lives are not spiraling out of control. On the contrary, God is working in our best interests. 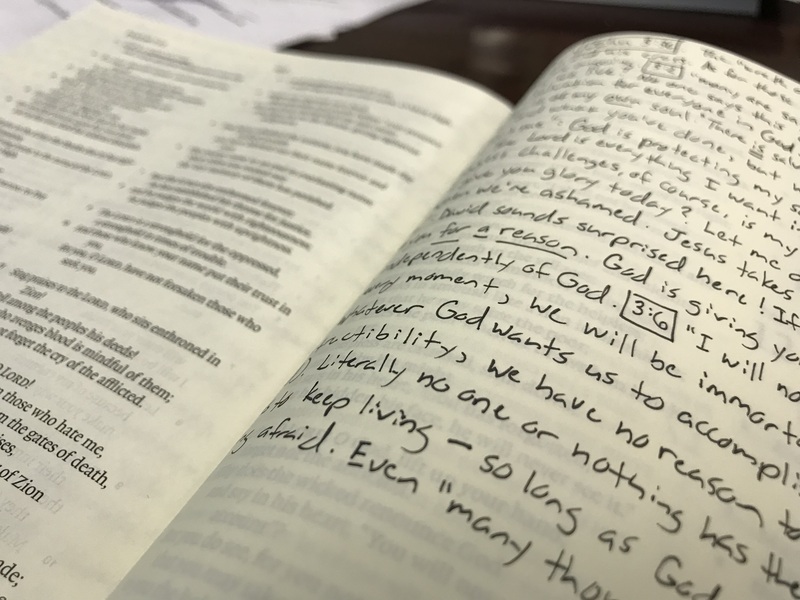 After all, how many of us cite Jeremiah 29:11 as a favorite verse? “For I know the plans I have for you, declares the Lord, plans for welfare and not for evil, to give you a future and a hope.” Does God have plans for us or doesn’t he? Or does something like an earthquake, devastating though it be, have the power to derail God’s plans for us? Otherwise God does not have the power to intervene in the world, and our Lord would be lying when he teaches us to petition our Father with urgency and persistence. Prayer makes a difference in the world because we believe that God has the power to make a difference in the world. Contemporary Christians, not least of which contemporary Methodists, can be very earthbound and human-centered in our worldview: we can overemphasize what we humans can accomplish at the expense of what God accomplishes for his glory. I urge us to be more supernatural in our outlook. This starts, I believe, with a robust view of God’s sovereignty and providence. It starts, well… by believing what Joel Osteen says… because his words reflect the truth of God’s Word. 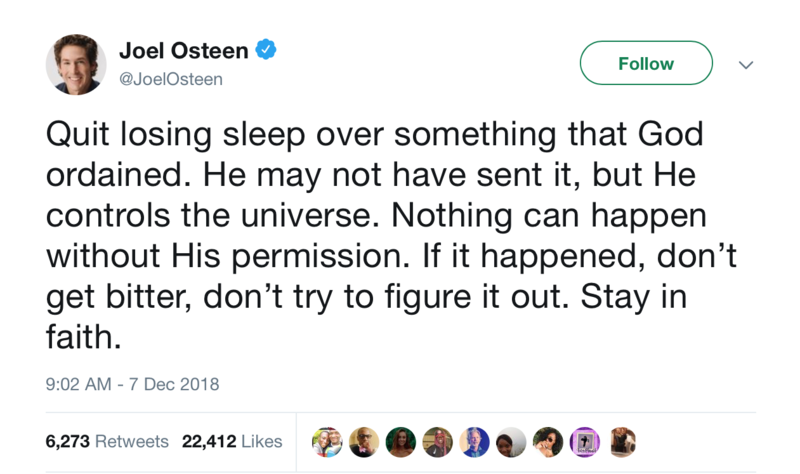 In fact, my only small quibble with Osteen’s tweet is that he says, “Don’t try to figure it out.” I would nuance it a bit: “Don’t worry about it if you can’t figure it out.” Besides, as one pastor has said, “There may be a thousand reasons God allows something to happen, and you may only see one or two.” Or none, at least on this side of eternity. And that’s O.K. We’re not God. We’re not God… I like that! The 19-year-old version of myself would have benefited from that helpful reminder. Classic Christian theology teaches the following: At this very moment, God sustains the universe and everything in it into existence. This means that everyone and everything in the universe depends on God for their ongoing existence. Nothing currently exists apart from the active role that God is playing right now in giving it existence. To say the least, every heartbeat that we presently enjoy, we enjoy because God is giving it to us. Every breath we take, we take because God is permitting us to do so. If God refused to sustain our lives, we wouldn’t merely die; we would disintegrate. The atoms that compose our bodies would vanish. Even the physical laws of the universe—which appear to us as a given state of affairs—cannot govern time, space, and matter apart from God’s enabling them to do so at every moment. Ultimately, physical objects in the universe do not operate according to laws, but to the very hand of God. And he is before all things, and in him all things hold together (Colossians 1:17). He is the radiance of the glory of God and the exact imprint of his nature, and he upholds the universe by the word of his power (Hebrews 1:3a). The only proper response to these words about God’s sustaining power is awe. But pastor Tim Keller brings them down to earth for us. 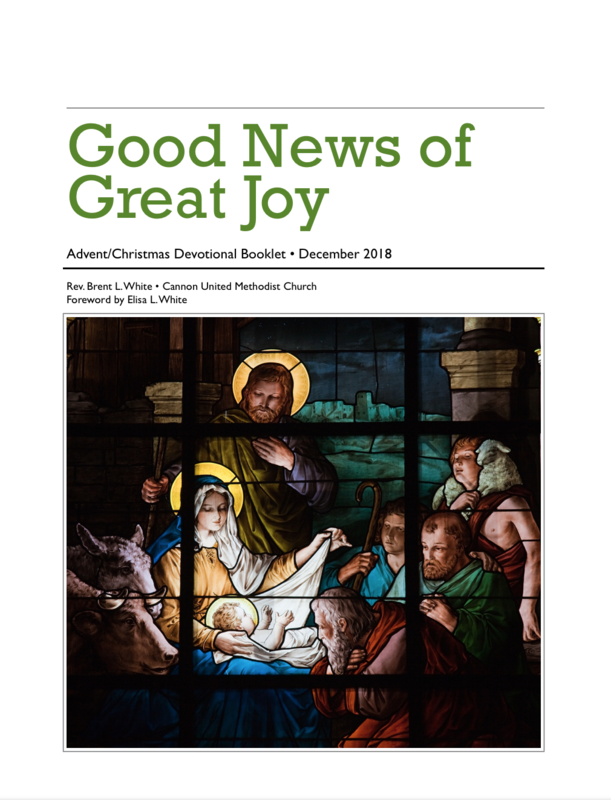 In his book Hidden Christmas, he describes the level of faith that God asked of Mary when she spoke those astonishing words of surrender, “Behold, I am the servant of the Lord; let it be to me according to your word” (Luke 1:38). The woman who spoke [at the conference] said, “If the distance between the Earth and the sun—ninety-three million miles—was no more than the thickness of a sheet of paper, then the distance from the Earth to the nearest star would be a stack of papers seventy feet high; the diameter of the Milky Way would be a stack of paper over three hundred miles high. Keep in mind that there are more galaxies in the universe than we can number. There are more, it seems, than dust specks in the air or grains of sand on the seashores. Now, if Jesus Christ holds all this together with just a word of his power (Hebrews 1:3)—is he the kind person you ask into your life to be your assistant?” That simple logic shattered my resistance to doing what Mary did. Yes, if he really is like that, how can I treat him as a consultant rather than as Supreme Lord? There’s that word again: sustained. And it is on the basis of God’s sustaining power over our lives that we can be fearless. Why? Because God is giving us the life that we currently enjoy for a purpose—or purposes. And until those purposes are fulfilled (as pastor John Piper said in a different context), we are literally immortal. We are un–killable. Even if “many thousands” of men or devils are plotting against us, literally no one or nothing has the power to harm us. Our Lord Jesus, who at this moment is holding your life together—along with the rest of universe(! )—will protect you until the moment that he has decided to bring you safely into his presence through death—an enemy that he’s already disarmed for us who belong to him. 1. Timothy Keller, Hidden Christmas (New York: Viking, 2016), 91-2. In this episode, I ruminate on answered prayer and something that a Pentecostal Christian told me one time. Hi, this is Brent White. 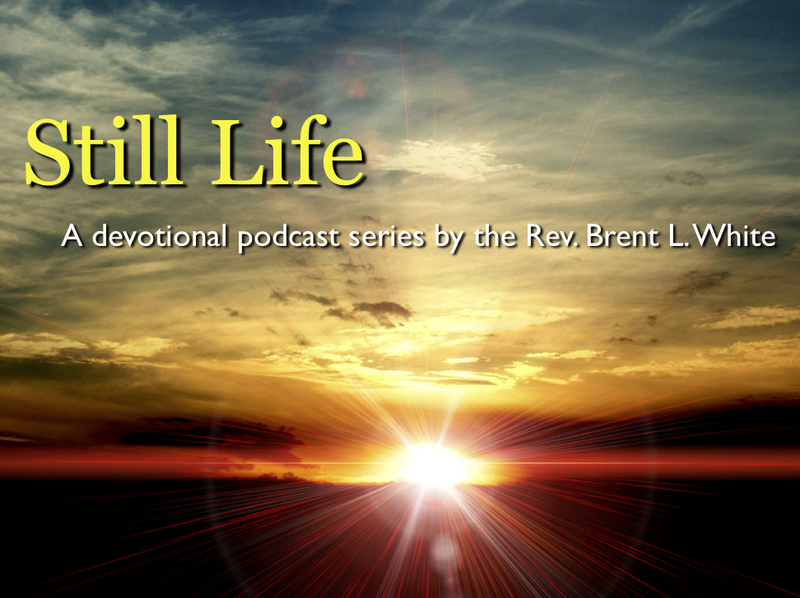 It’s Thursday, February 15, and this is Devotional Podcast number 14. You’re listening to Elvis Presley, of course, and his recording of “How Great Thou Art.” He originally recorded this song in 1966 for his Grammy-winning gospel of the same name. But in 2015, the song was remixed with a new orchestral arrangement, performed by the Royal Philharmonic Orchestra and recorded at Abbey Road Studios in London. So this version is taken from the 2015 album, on vinyl, If I Can Dream. And it sounds amazing, as I hope you can hear. I want to talk today, briefly, about Pentecostal Christians. Elvis himself grew up Pentecostal, in the Assemblies of God Church. Pentecostalism, if you don’t know, is that branch of Protestant Christianity that places a strong emphasis on the more conspicuous spiritual gifts—like speaking in tongues, prophecy, and physical healing. In principle, I have no problem with the idea that the Holy Spirit may give these gifts and do powerful things through people; I’m not what’s called a cessationist—in other words, I don’t believe that the Holy Spirit stopped giving these gifts to Christians after the age of the apostles. I see no biblical warrant for believing that. Are there excesses in Pentecostalism? Are there abuses? Are there charlatans who take advantage of their credulous flocks? Of course! Pentecostals, no less than the rest of us, need to “test the spirits to see whether they are from God,” that’s for sure. And I strongly disagree, theologically, with the widespread Pentecostal belief that receiving the Holy Spirit, or being baptized by the Spirit, is something that happens, only to some Christians, at some point after a person is born again. I also don’t believe that the evidence of having received the Holy Spirit is this one particular gift of speaking in tongues. No, I believe we all receive the Spirit at the moment of conversion. But I don’t mean to be overly critical. in my own life I tend to love people who love Jesus—and seek to build their lives on the foundation of God’s Word. And that describes most Pentecostal Christians that I’ve known—so they have my love and respect! Plus, there are things that we non-Pentecostals can learn from Pentecostals—like the fact that when Pentecostals go to church, they mean business! They expect the Holy Spirit to do something… powerful! For example, I drive by a couple of Pentecostal churches between my church and my house. I know nothing about them beyond their church signs—but I like their church signs! One of the churches is called “Perfecting the Saints Church International.” I like that! They go to that church on Sunday morning expecting the Holy Spirit to perfect them. When we show up at church on Sunday morning, what do we expect the Holy Spirit to do? I pass another church on the way home called—get this!—“One-Way Inner Action Church.” I-N-N-E-R Action Church. When they go to that church, they expect that the Holy Spirit is going to do something active, inside their hearts! I like that! I also like the way many Pentecostals pray. In my experience, they pray with this same expectation that God is going to respond to them in a powerful way—even if it means working a miracle. I knew a Pentecostal back in high school. Her name was Christine. We were talking one day, and she said something to me back then that has stuck with me to this day. I was Baptist back then, but it’s not hard to imagine that she said back then could have applied equally to us Methodists—and most other modern Christians in the West! You never expect anything supernatural to happen. Is that true? Was that true for me then? Is it true for me now? Maybe so! Let me give you an example. Last September, our church finance committee was making year-end projections for our budget, and we were looking at what we feared might be a substantial shortfall. So I challenged the church leadership to pray. And I prayed. Within a week of that meeting, we received a substantial offering check, a portion of which we could use for our operating budget. Basically, this money eliminated the budget problem in one fell swoop. We would no longer be sweating it out the last few months of the year—the way our church usually does at the end of each year. No begging or pleading on my part. No big campaign to raise the money. I was relieved! All I can say in my defense is, this money didn’t feel like any kind of miracle at the time—it felt like normal, every day event. Nothing too far outside of the ordinary. Surprising, yes, but not supernatural. So at first, I failed to see that this was God intervening in a powerful way to answer my prayers—and the prayers of others. It’s as if God’s handiwork was hidden from me. I couldn’t see his fingerprints on this particular gift—even though they were all over them. But isn’t that usually the way God’s providence works? When God does something, it rarely looks like a miracle. It rarely looks supernatural. It rarely looks like anything out of the ordinary. Isn’t it instructive, therefore, that the portion of the Lord’s Prayer that has to do with asking God to give us things is this humble petition: “Give us this day our daily bread.” Because from our human perspective, our daily bread—at least for those of us living in wealthy industrialized countries—is one thing we don’t believe we need God to provide. “We’ve got that taken care of, Lord. We’ve got a freezer full of it. Our pantry is well-stocked.” we think. So we don’t need God’s help with daily bread. Physical healing? Yes, by all means! Financial aid for college? You bet! A promotion for work? Yes, please. But daily bread…? And yet Jesus tells us that our daily bread—insignificant, humble bread—is itself a gift from God. It’s our problem that we have the luxury of taking it for granted. It still comes from God. And if even bread comes from God, well, tell me what doesn’t? So… getting back to my Pentecostal friend’s observation—“You believe in Jesus without expecting him to do anything supernatural.” She may be right. And if so, I repent. But let’s not underestimate God’s activity in our lives: if we only expect God to act supernaturally, or miraculously, then we may fail to appreciate that God is always doing stuff for us—always giving us exactly what we need, always working in every part of our lives and our world—even when he’s not doing anything supernatural! If we can live our lives with that perspective, then we will live lives of gratitude to God for his faithfulness to us. Amen? This article made the rounds recently on a United Methodist-related Facebook group of which I’m a member. Bart Campolo, the son of prominent “progressive evangelical” Tony Campolo, describes how he lost his Christian faith incrementally. The process began during his ministry with the urban poor, when he found, time and again, that God wasn’t answering his prayers. Campolo admitted that changing his view of God’s sovereignty was “the beginning of the end” of his faith. Why? Campolo went on to say that “progressive Christianity” is a stepping stone to atheism for many others. Maybe so. But if Campolo believed that God’s sovereignty was proven (or not) by Campolo’s perception of God’s ability to answer his prayers, then I wonder how orthodox he was to begin with. 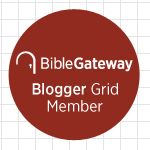 Speaking from my own experience, the “higher” your view of God’s sovereignty, the less concerned you are with whether or not God grants your petitions in prayer. Why? Because your overriding concern is that God’s will be done, not your own. If something other than your petition comes to pass, you can trust that God allowed or enabled it for good reasons—and the ultimate outcome of not granting your petition will be better for you, for your neighbor, for the world, or for God’s kingdom than otherwise. Whether you can grasp even one of possibly millions of reasons that God didn’t grant your petition is beside the point. And why should you know what those reasons are? Who do you—a finite, sinful person—think you are? To put it mildly, what do you know that God doesn’t? Who are you to judge what God “ought” to do? It’s preposterous when you think about it—at least for those of us who believe in the doctrine of God’s sovereignty and providence. After all, from God’s vantage point, which transcends time, only he foreknows the myriad and potentially eternal consequences of granting or not granting your petition. In his masterful book Walking with God Through Pain and Suffering, Tim Keller discusses chaos theory and the famous “butterfly effect”: that a butterfly flapping its wings in China “would be magnified through a ripple effect so as to determine the path of a hurricane in the South Pacific. Yet no one would be able to calculate and predict the actual effects of the butterfly’s flight.” No one except God, that is. God will only give you what you would have asked for if you knew everything he knows. At the very least, we need to approach the “problem” of unanswered prayer with great humility. Besides, in his model prayer for us, Jesus teaches us to pray, “Give us this day our daily bread.” In his 30 years of drifting toward atheism, was Campolo praying for that? Because if he were, he would have found that God answered his prayer about 10,950 times. Had he been praying for other bare necessities, he likely could add hundreds of thousands more answered prayers for things he routinely took for granted. That’s probably true. And yet, someone who believes in God’s sovereignty also understands that nothing in the universe “happens anyway”—not apart from God’s providential grace. That you were born in a prosperous country into a middle-class family, that you enjoy life and breath with which to serve the urban poor, and that you receive something so humble as daily bread—all of these are gifts “from above, coming down from the Father of lights, with whom there is no variation or shadow due to change” (James 1:17). If we forget to ask our Father for these gifts, yet he gives them anyway, can we at least remember to say thank you? 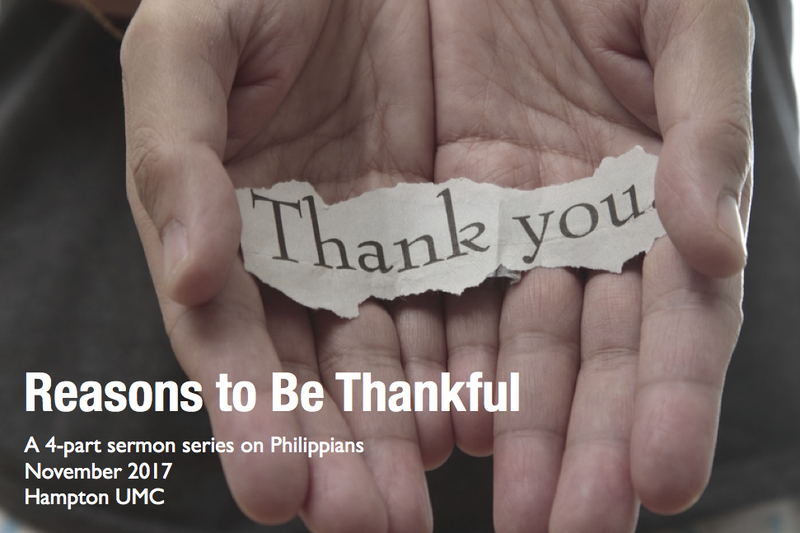 Just in time for Thanksgiving, today begins a 4-part sermon series on Paul’s letter to the Philippians—a letter bursting with joy and gratitude. Paul’s tone should surprise us: After all, he’s writing this letter from prison, facing trial and execution for his faith. Moreover, his missionary work—his vocation to reach the Gentiles with the gospel—appears to be seriously hampered. How is Paul able to be so happy? It’s November, which means—as far as I’m concerned—it’s almost Christmas. I love this time of year. This year, during the Thanksgiving/Advent/Christmas season I’m planning on re-watching one of the greatest movies ever made: I’m referring, of course, to It’s a Wonderful Life. Most of you have seen this holiday classic. It is so good; it’s so deep; it’s so rich. You remember the basics of the story: George Bailey is an ambitious young man who has dreams of leaving Bedford Falls, the small town he grew up in; seeing the world; going to college; being a world-renown architect or engineer; building things. Accomplishing things. Being successful; being rich. Living the American dream. 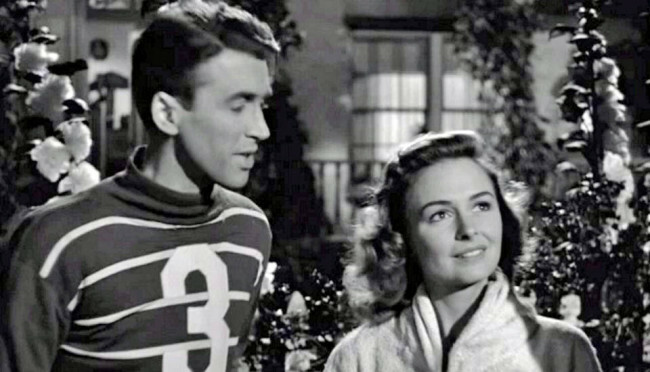 But through a series of unfortunate events and circumstances beyond his control, he ends up stuck in Bedford Falls, running his late father’s Building and Loan, watching his friends and even his little brother achieve the kind of success that he himself always wanted to achieve—as if being married to Donna Reed wasn’t enough for him! What was his problem? Regardless, toward the end of the movie, his incompetent uncle loses $8,000 of the Building and Loan’s money, and the police suspect that George stole it, and pretty soon he’s going to be arrested. His life is in ruins, or so he thinks. So he contemplates suicide until an angel intervenes to save his life. The angel shows George one example after another of how much better his fellow townspeople’s lives are as a result of George’s life. George sees that every unlucky break, every setback, every disappointment, every perceived failure in his life played a role in blessing the lives of others. It was almost like someone was behind the scenes of George’s life, pulling strings, coordinating events, making things work out in a particular way. And although the movie doesn’t come right out and say it, we Christians can watch this movie and know that Someone was doing these things. While things weren’t going according to George’s plans, they were going exactly according to Someone else’s plan. This is how God works in our world, for those of us who believe in his Son Jesus. More than anything, this is what today’s scripture is all about.